I have never been found of Cherry mobile products. But each generation of Cherry Mobile phones seems to show that they are selecting better units from ODM partners in China. So which new Cherry Mobile caught our attention? The Magnum 2X. 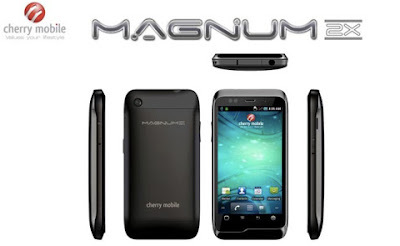 The Magnum 2x is a dual core Android phone with decent specifications. Missing features are a flash for the camera and HDMI out. Still at a price of Php15,899 it should attract some interest from those looking for a budget Android with good gaming capabilities.